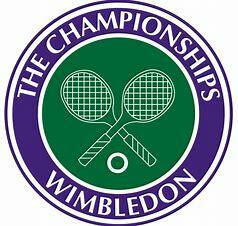 Detail of our allocation of Wimbledon tickets is now on display on the clubhouse notice board. All eligible members who would like the chance to purchase tickets to go to Wimbledon are invited to enter their names on the list to take part in the ballot (alternatively, Members may send their ballot options by e-mail to David West (e-mail@drummondltc.co.uk)). Each eligible member may only put their name down once. The draw will take place in the club house on the evening of the 11th May. (1) All entrants to the ballot must be fully paid up members of Drummond LTC for 2019. (2) All entrants must be British Tennis members, must have a valid BTM number which is linked to Drummond LTC, and must have opted-in to the ballot by 22nd February, 2019. (3) Juniors between the ages of 11 (as of 22nd February 2019) and 17 can enter the ballot, but if successful must be accompanied by a parent / guardian. (4) Child & Non-playing Members are not eligible to enter the ballot.